At Lake Norman Regional Medical Center, we understand how challenging weight loss can be. Weight loss is a journey, and we're here to help you every step of the way. Our bariatric care team is experienced in providing quality care and on-going support for each patient. 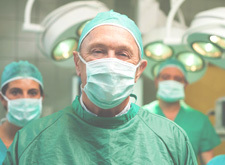 At Lake Norman Regional Medical Center, we care for the parts that keep you moving. 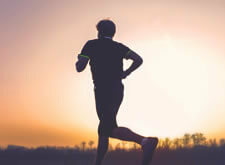 When a bone, tendon or joint doesn’t work like it’s supposed to, we offer a full range of orthopedic services to help get you back to the life you enjoy - from injury prevention and recovery to total joint replacement and rehabilitation. Lake Norman Regional Medical Center has been designated as an American Institute of Minimally Invasive Surgery (AIMIS) Center of Excellence. 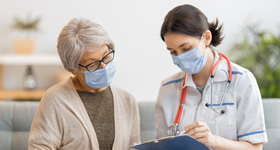 With minimally invasive surgical procedures, patients may experience a shorter hospital stay, quicker recovery, and less scarring. Babies don’t wait to come into the world. 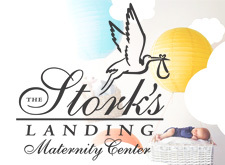 We’re right here to assist in their arrival 24 hours a day at The Stork’s Landing Maternity Center. Specially designed for growing families, see all our maternity center has to offer.